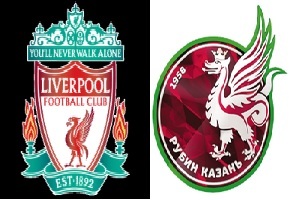 Liverpool will host Rubin Kazan on Thursday. Jurgen Klopp is the new manager of Liverpool and we all know what he is capable of. On Saturday they already managed to draw a game against Tottenham away, although we didn't see any goals. Rubin Kazan have a terrible season in their league. They are only 12 in ranking with 3 wins, one draw and 8 losses. In CL- Group B they are last with just one point. Liverpool can win this game, I am sure about that. They need points and this is perfect chance to do this in front of their own fans and against opponent in terrible shape. Online Football is an emerging worldwide sensation. It captivates its audience by allowing the player to immerse themselves in a football world. You get Live Football Tickets Discount to become the player you control and feel the feelings of both triumph and defeat.